Russian Sports Minister Vitaly Mutkov told Match TV that the country plans to immediately appeal the decision to ban all eight of its weightlifters from the Rio de Janeiro Olympics for doping. Russia will immediately appeal the decision to ban all eight of its weightlifters from the Rio de Janeiro Olympics for doping. Russian Sports Minister Vitaly Mutkov told Match TV on Saturday that the country will appeal to the Court of Arbitration for Sport this weekend. The International Weightlifting Federation issued the ban on Friday for what it called "extremely shocking" results that brought the sport into "disrepute." 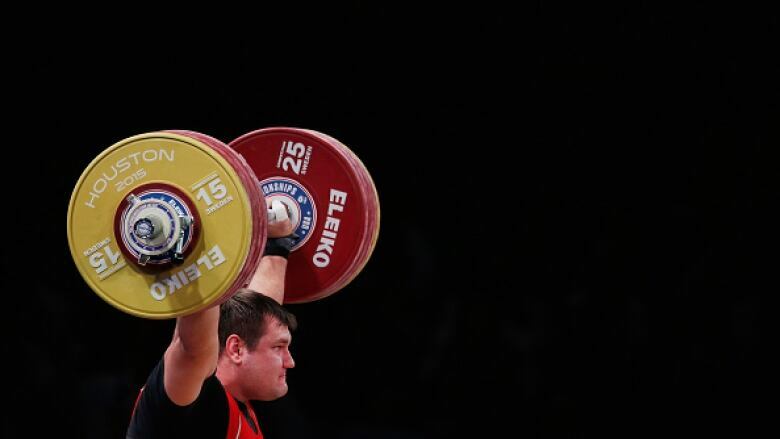 Weightlifting became the second sport after track and field to issue a blanket ban on Russian athletes over doping. Other sports have banned individual Russians but not all of the eligible athletes. Mutko said: "CAS now works 24 hours a day, so today or tomorrow we will support our athletes and try to get them restored to the team." Two Russian swimmers filed an appeal Saturday against their exclusion from the Rio Olympics, claiming the ban is "invalid" and "unenforceable." The Court of Arbitration for Sport said it received appeals from Vladimir Morozov and Nikita Lobintsev, both seeking to overturn their bans over state-sponsored doping allegations. The two were barred from the games by swimming's world governing body, FINA, in line with the new criteria for Russian athletes announced by the International Olympic Committee. FINA said the swimmers were implicated in the report by World Anti-Doping Agency investigator Richard McLaren that detailed state-sponsored doping in Russia across more than two dozen summer and winter sports, including swimming. CAS said the appeals were filed against the IOC and FINA. Lobintsev won a bronze medal at the 2012 London Games in the 4x100 freestyle relay. He won silver in the 4x200 freestyle relay at the 2008 Beijing Olympics. Morozov also won a bronze in the freestyle relay in London. The IOC executive board decided last Sunday not to ban the entire Russian Olympic team from the games. But it ordered all individual sports federations to apply new criteria to decide which athletes could be allowed to compete. CAS said the swimmers appealed that the IOC ruling should be thrown out because it is "invalid and unenforceable." They also want FINA's decision to be "set aside" and for the IOC to validate the entries submitted by the Russian Olympic Committee. A panel of arbitrators will hear the case and issue a ruling.